Debi, thanks so much for your supportive comments every week when I post my Challenge update. You are so sweet! It’s going to so pretty when you finish it. I had better get a move on my project. I haven’t touched it for a few weeks. You know how it goes. Life gets in the way of quilting. WOW!! Your block is gorgeous. I love the way the green works with your focus fabric. I’m really going to have to play catch-up with my challenge quilt, I haven’t been able to work on much piecing for the past 2 weeks. 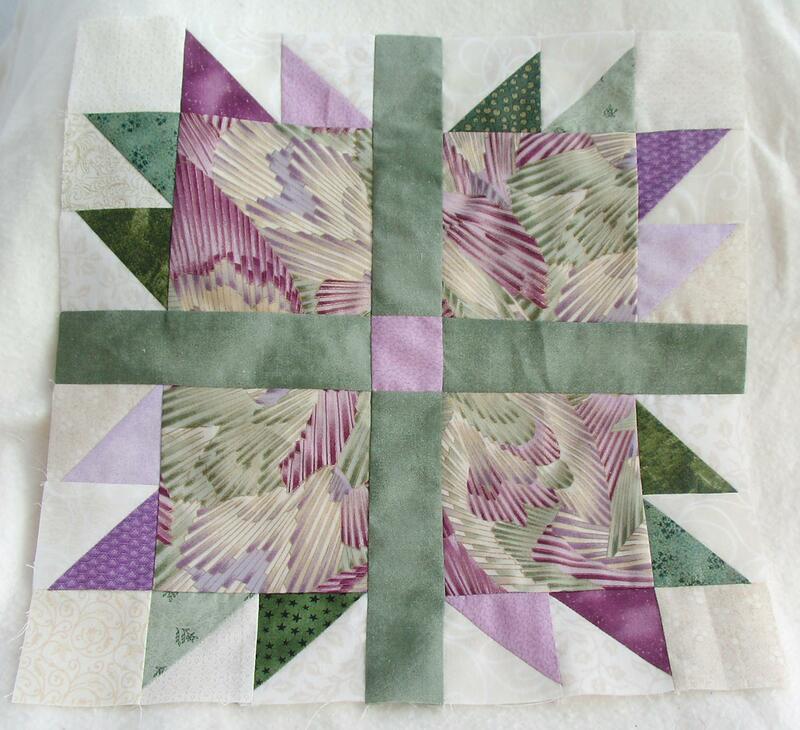 It’s been so long since I have actually finished anything, that I thought I needed a machine quilting refresher class. I had to sandwich a ton of practice pieces and blocks for use in the class. That left me with little time for anything else. I love that your posts leave us inspired, but not guilty about keeping up.